For 24 hours, one and all can get a free 8 in. x 8 in. test swatch of Eco Canvas printed using any design available in the Spoonflower marketplace, or using your own design. Open to US and to non-US customers. Shipping will also be free. Woot! HOW DOES IT WORK? This offer is limited to one free swatch per customer and household. 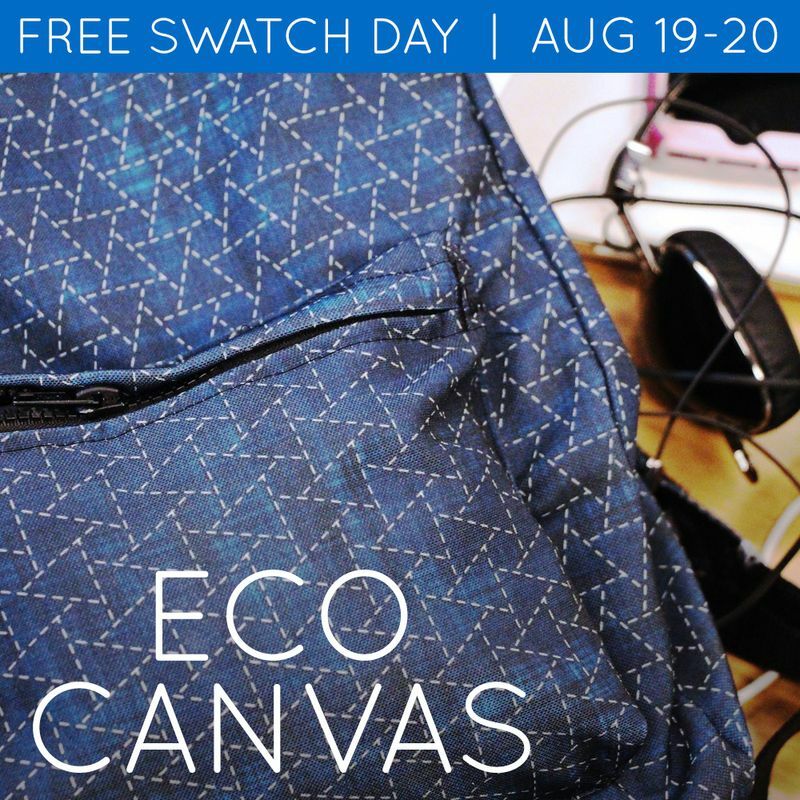 To activate the discount, use the Go For It button (visible on each fabric design page next to the Free Swatch Information) to add a swatch-sized piece of Eco Canvas to your shopping cart between noon EDT on Tuesday, August 19 and noon EDT on Wednesday, August 20, then proceed to checkout. The discount will be subtracted from your cart total automatically. Note that in order to receive your swatches, you need to follow the transaction through to the order confirmation page. [And yes, shipping is free, too.] 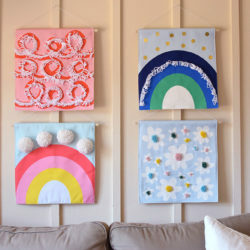 This offer works for your own designs or for any of the designs available for sale in the Spoonflower marketplace. 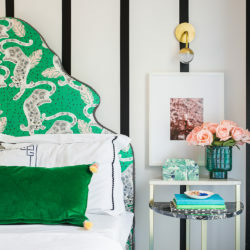 Multiple orders from the same household and/or customer will be disqualified. Once you click the Go For It button (as seen on the left above) you will receive a confirmation that your promotion has been applied (right). 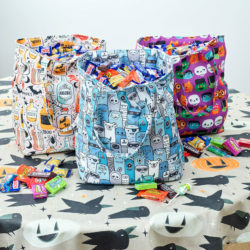 PRINT YOUR OWN DESIGN: If you’re new to Spoonflower this is a great chance to test the quality of our fabric and our printing for free. 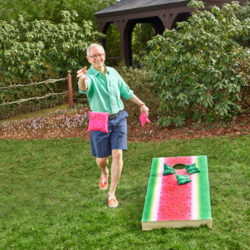 Just go to the Spoonflower home page, click Get Started, upload one or more designs, click on your design and then follow the instructions above. 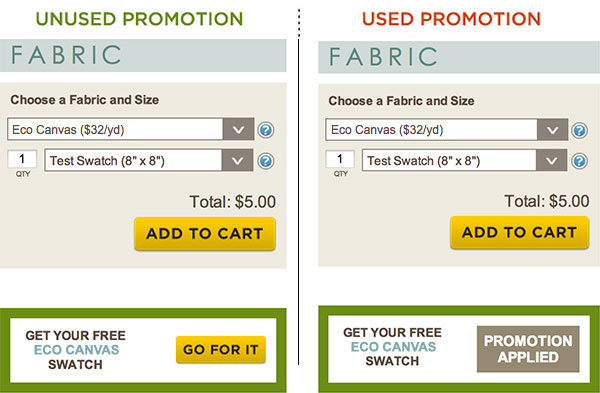 Offer is good for a single, test-swatch size (8″x8″) of Eco Canvas, with free shipping. One free swatch per customer/household. If we determine that multiple promotions have been used by a single person or household, we reserve the right to cancel the orders. Open to both US and non-US customers (including free shipping). To take advantage of this offer, use the Go For It Button visible on each Spoonflower fabric page to add the promotional item to your cart. Then enter your shipping information and complete checkout. Please review the preview carefully before placing your order. If the Free Swatch button is not accessible and you have not already taken advantage of the offer, please contact our help team.